Apple's hotly anticipated iPad 2 will launch this Friday in Australia, with prices starting at $579 for the entry level 16GB Wi-Fi version. We've rounded up everything you need to know about Apple's latest tablet. The iPad 2 is available from 5pm Friday through Apple retail stores and select authorised resellers. The new iPad 2 is slightly cheaper than the original iPad — the pricing is identical to information that was leaked via a post on Australian technology forum Whirlpool earlier this week. Has Apple changed the game again with its iPad 2, and should you buy one? 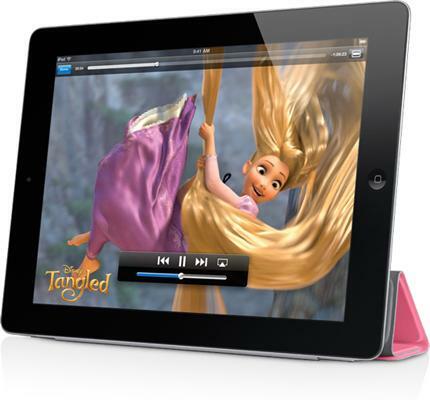 Read our Apple iPad 2 ultimate buying guide? See exactly how the iPad stacks up against the iPad 2 as we compare Apple's two tablets side-by-side. See what the experts think of Apple's 'faster, thinner and lighter' iPad 2 tablet, as we round up the top iPad 2 reviews. If you're not interested in lining up for the iPad 2, why not pick up an original iPad 64GB Wi-Fi for just $589? If you're not interested in an iPad at all, check out our guide to the best iPad 2 alternatives. Competitors include the Samsung Galaxy Tab 10.1v, the Motorola Xoom and the upcoming BlackBerry PlayBook.